Cold, Winter days are upon us and I'm already wearing my Winter coat daily now. Honestly though, I love wearing layers and I'm not going to complain about living in comfy leggings, oversized sweaters and cardigans. I just wish I was able to wear dresses at work, even though that'd be ridiculous if you knew where I worked. But I want more opportunities to dress up. That's one thing I miss about working in an office - I could live in dresses and tights. Now if I had the money and/or reasons to wear these dresses, they'd be added to my wardrobe asap! Seriously, those dresses, bags, and loafers give me heart eyes. I need to find more reasons to dress up! 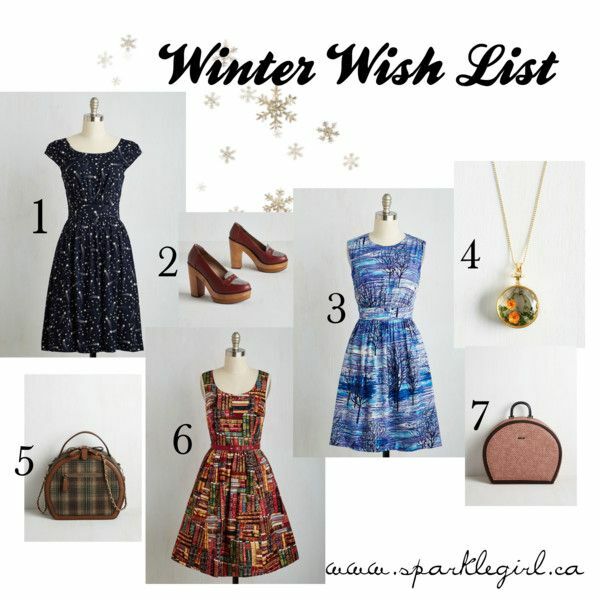 What's on your Winter wardrobe wish list? Ugh, I want to wear that 'uniform' daily too! Silly retail requiring sneakers and jeans.